I always kinda felt like Piglet should be a girl. He’s SO CUTE, and wears pink, and seriously, the only other girl in Winnie The Pooh is Kanga, right? Someone else should be a girl. Anyway. As an adult, I appreciate that Piglet bent the gender a bit with his choice of attire. As a mom, I also appreciate this outfit. Cutie Piglet, with fuzz. COME ON. Baby AB is seven weeks old here. 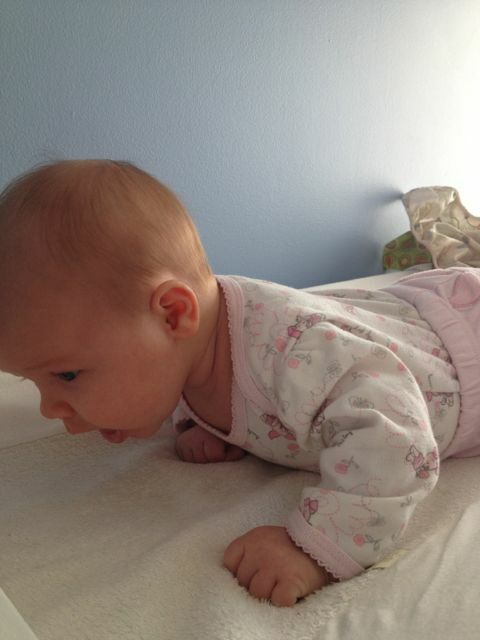 She took to tummy time early. If you know my daughter, you know that keeping ANY kind of footwear on her requires constant vigilance. Booties just haven’t a chance, so obviously this photo is staged. 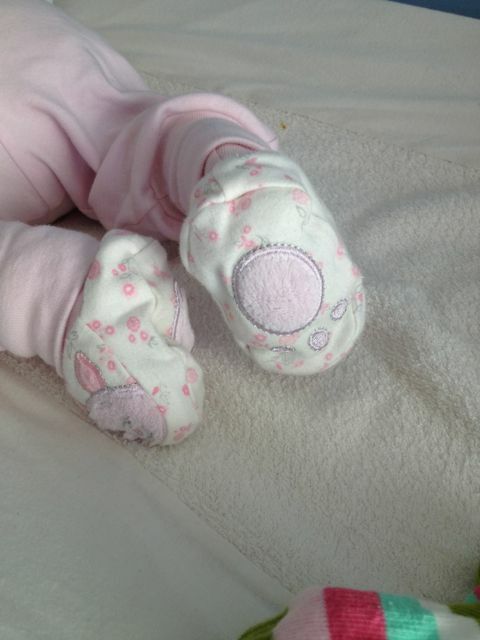 I just noticed that those prints on the soles are not piglet prints. I guess tiny hoof-prints just aren’t as adorable for some reason. We – and by we, I mean Mommy – were sad to outgrow this one. i know a boy who wore pink and looked great in it, and still was very boy. i just discovered that if you miss the P in pink and type an O instead, it’s pretty funny! 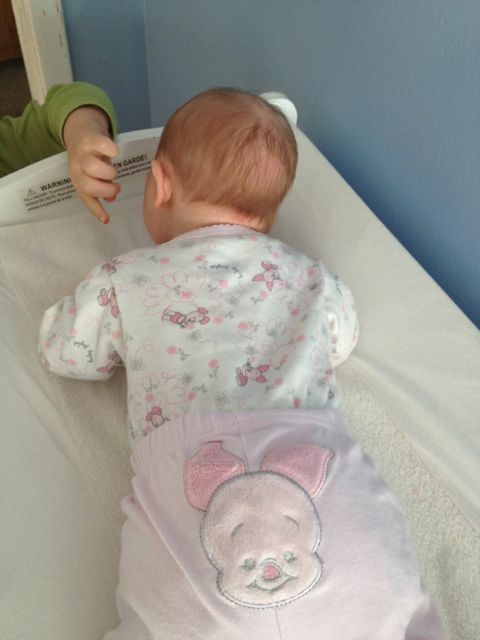 When I was Christopher Robin, our Piglet was played by a girl. It worked well…but she wasn’t as cute as Baby AB!